_ The Sherburne SWCD offers free technical assistance to public and private landowners with forest management and tree care questions. Consultation is meant to provide land managers and homeowners with diagnosis of the problem and options for solutions. If you need assistance, you may schedule an onsite visit with a conservationist by emailing: ghugo@sherburneswcd.org or by calling our office. 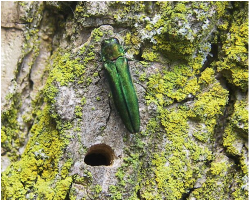 Researchers have found a strong correlation between heavy woodpecker activity in ash trees in late winter and presence of Emerald Ash Borer (EAB) larvae. EAB is confirmed in the City of Shoreview, within 30 miles of Sherburne County Communities. Early detection is key to successful mitigation of the damaging effects of an infestation. To that end, the District is partnering with the MN Department of Agriculture, Plant Protection Division to conduct a volunteer survey that would look for signs of infestation – namely woodpecker activity in late March and early April. The District will be hosting a training session at the beginning of the year. Priority areas for survey include all Elk River Parks as well as around compost sites in Zimmerman, Elk River, Big Lake, and Becker. It's important to repeat survey work annually and possibly add survey sites as volunteer participation will support. To learn more about this program, please contact our office at 763-241-1170 x 4. The cities of Becker, Big Lake, Elk River, and Princeton have partnered with the Sherburne Soil & Water Conservation District and the U of M Tree Care Advocate Program on a pilot program that aids in increasing effective tree care by working together and engaging citizens in community forestry. Citizen Pruners are trained in tree identification, biology, and pruning techniques. Advanceded courses are also offered, these classes help to extend the skills and ability of this steadfast volunteer force. 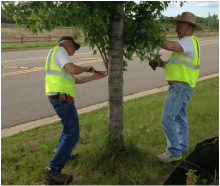 Additionally SWCD staff partners with each city to host “Pruning Events”, where volunteers work in teams to prune city-owned trees of high priority. To find out more about the Citizen Pruner Program, please contact Gina at 763-567-5360. A Forest Stewardship Plan is a specific kind of woodland management plan prepared by a natural resource professional. The plan provides technical advice and long-range forest management planning to interested landowners. A qualified natural resource professional will meet with you, conduct a field inventory, assess specific land factors and complete the plan. Plans are designed to meet your goals while maintaining the sustainability of the land. Landowners that own between 20 and 1,000 acres of land with at least 10 wooded acres qualify for a plan. The cost is based on the number of acres to be included in the plan. 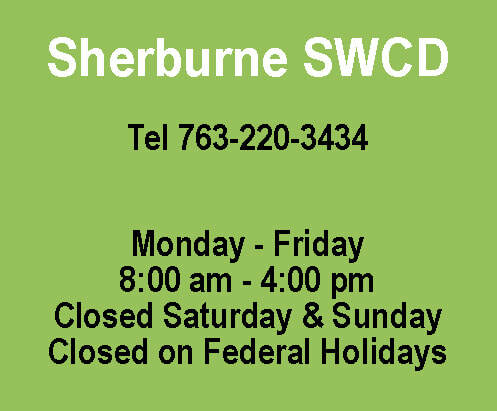 The Sherburne SWCD has access to various programs for individual landowners. The first step in getting started is to schedule a free site visit with a Sherburne SWCD conservation technician to discuss the goals and objectives for your land. Call 763-241-1170 x 4 to schedule an appointment today! 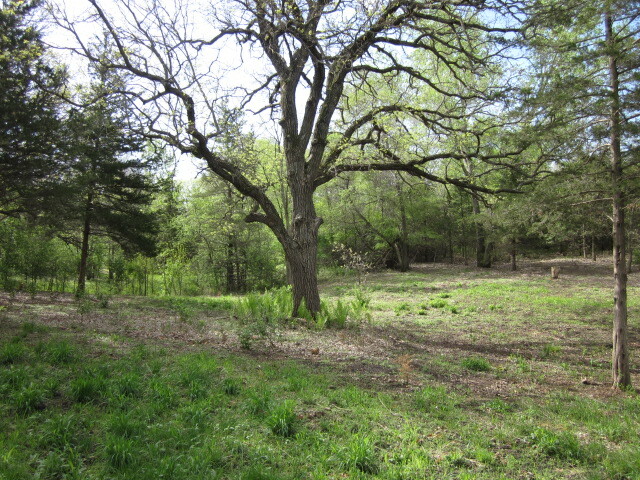 For eligible properties A forest stewardship plan that is registered with the MN DNR is a prerequisite for the 2C managed forest tax classification program. To verify land eligibility, contact the County Assessor. The Sherburne SWCD offers free technical assistance to public and private landowners with forest management and tree care questions. Our tree health consultation is meant to provide a diagnosis of the problem and options for solutions. During our meeting with you, we will survey the trees while on your property. During our evaluation, we monitor soil moisture, inspect your trees for visible signs of distress or disease. We identify pests if present, and provide unbiased recommendations as to corrections and the future care of your trees. Our consultation is an oral one, however many of our clients take notes or have used video or tape recorders. A written report is available upon request at an added cost. Schedule an onsite visit with a conservationist by emailing: ghugo@sherburneswcd.org, or contact our office at 763-567-5360. With most people living in urban areas it becomes vitally important to implement conservation practices that help protect our trees and minimize our impacts on the natural environment. Urban forestry is the careful care and management of urban forests, i.e., tree populations in urban settings for the purpose of improving the urban environment. Urban forestry advocates the role of trees as a critical part of the urban infrastructure. Urban foresters plant and maintain trees, support appropriate tree and forest preservation, conduct research and promote the many benefits trees provide. Many of these practices work to reinstate and mimic the natural systems that were functioning prior to the land being developed; such as mitigating stormwater runoff and reducing the urban heat island effect. The Sherburne SWCD can assist urban landowners in identifying conservation opportunities and ideas on mitigating environmental concerns. Please contact our office at 763-241-1170 x 4 to find out more. Invasive Tree Pests and Diseases pose a serious threat to the trees and forests of Sherburne County. The best defense for our trees and forests is early detection by people who work with trees, those who enjoy the outdoors, and those involved in community education. Forest pest and disease management on private and public forests protects their economic, ecological, and social values. Through proper forest management practices, many potential pest problems are avoided. Forest health is promoted through practices that allow forests to recover quickly from natural or human-caused stresses and that provide for ecosystem stability. When serious pest problems are discovered, suitable treatments are applied to reduce the pest populations with minimal impacts on non-target organisms. Through this holistic, ecological approach to forest management, the long-term productivity and health of the forested ecosystem is sustained. If you have questions about possible pests or diseases in your trees, please contact our conservationist by emailing: ghugo@sherburneswcd.org, or contact our office at 763-241-1170 x 4.